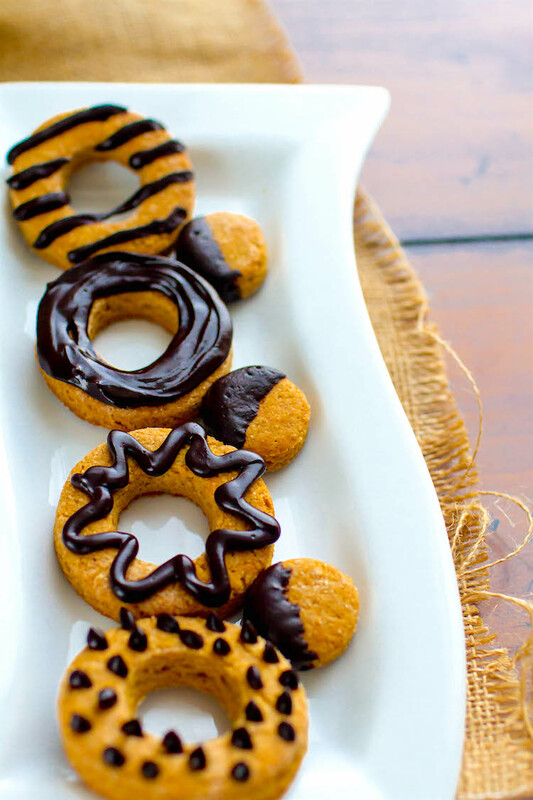 These look so delicious, so decadent — you’ll wonder why they’re going to the dog instead of YOU. Since my previous carob powder recipe, I’ve found myself with an excess of carob powder and a hankering to try some more pup treat recipes that include carob. When I found this recipe online, I was immediately won over by the dreamy photos. And Banjo? She was won over by the taste. 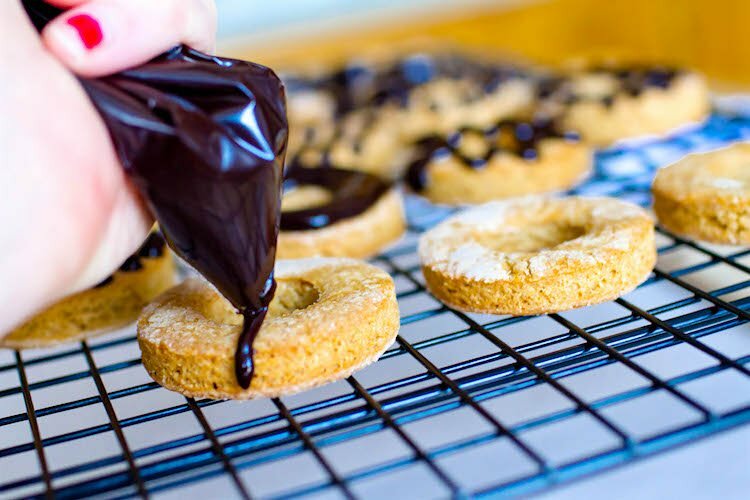 Ingredients include peanut butter, milk, flour, an egg and baking powder. 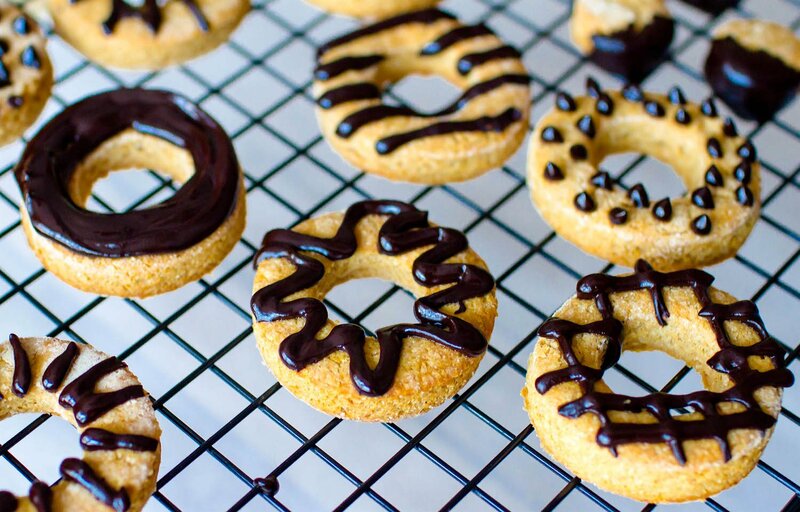 If you don’t have a doughnut-shaped cookie cutter, you can use any other shape you’d like. Bake the doggy doughnuts and doughnut holes for about 20 minutes. 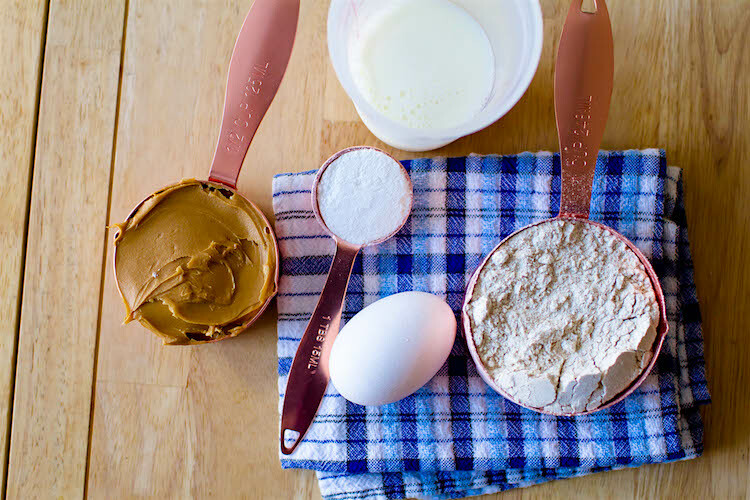 In a medium bowl, beat the egg and stir in the milk and peanut butter until smooth. Mix in the flour and baking powder until a workable dough forms. You may have to add more flour if the dough is too sticky. 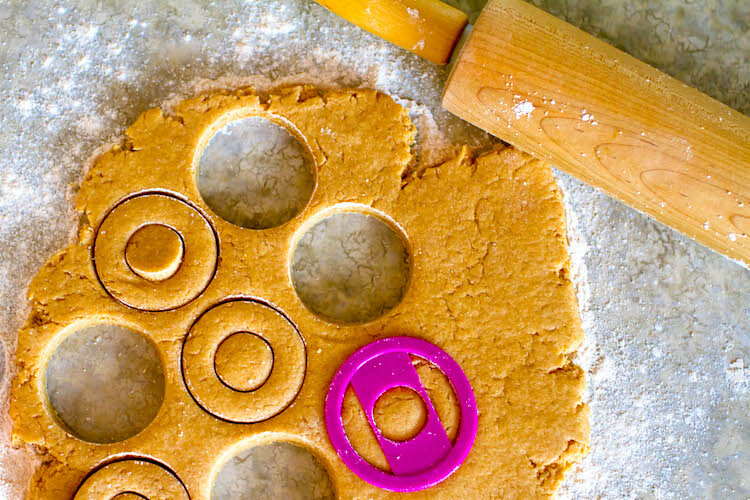 Roll out the dough on a floured workspace to ½-inch thick. Bake for 20 minutes, or until the treats are hard. Mix carob powder and boiling water until the mixture reaches an icing consistency. You make the icing by mixing carob powder and boiling water until the mixture reaches an icing consistency. 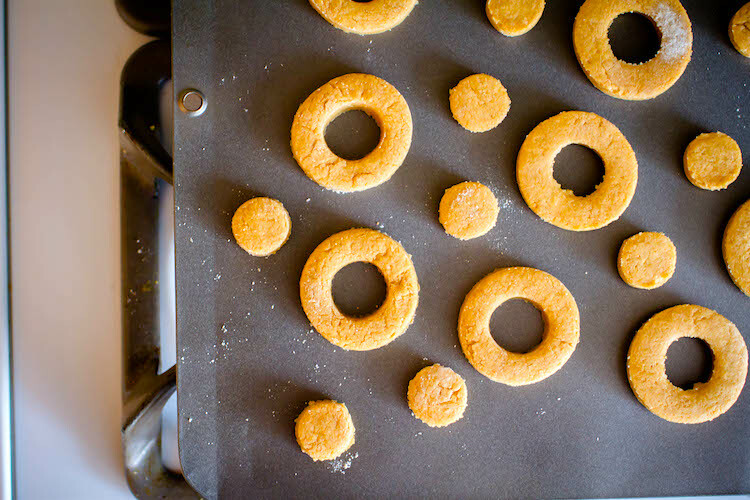 This recipe makes about 2 dozen small doughnuts and doughnut holes. I have to admit, these are probably the cutest and most appetizing dog biscuits I’ve ever made. If I’m ever whipping together some puppy treats for a friend and want to make a good impression, this is the recipe I’ll use. These new snacks looked scrumptious, so Banjo was an eager fan and gobbled them up with barely a second sniff. 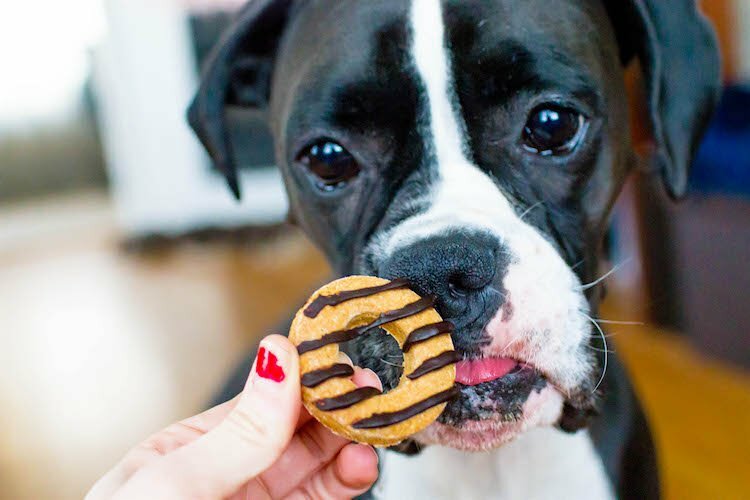 Banjo was a big fan of this doggy doughnut recipe.